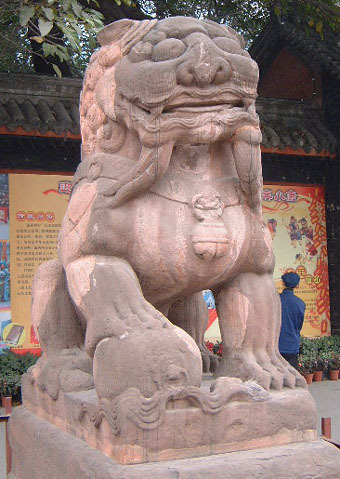 The Wuhouci (武侯祠 wǔhóucí) is an impressive shrine dedicated to Zhuge Liang of the famous Chinese epic, Romance of the Three Kingdoms, as well as other characters in the story. 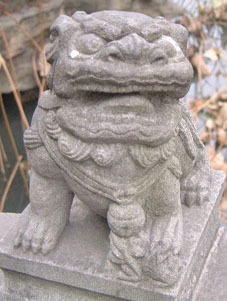 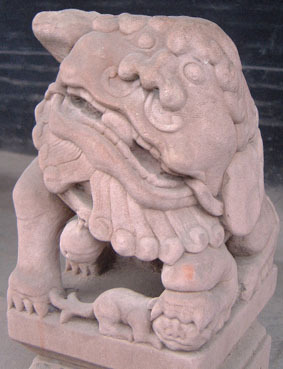 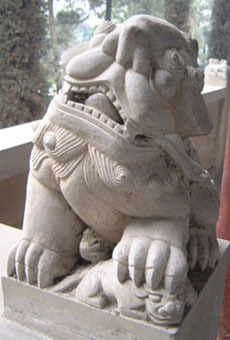 It features a fascinating range of guardian lions. 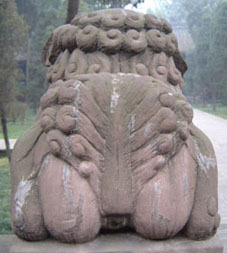 The lions that guard the entrance of Wuhouci are large enough to permit some freedom of expression. 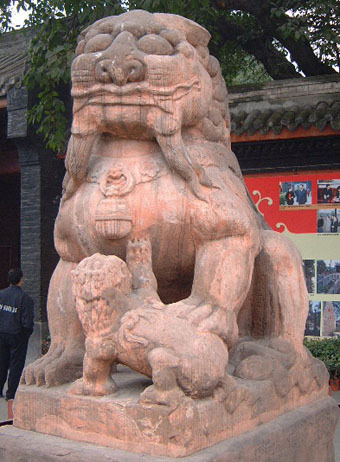 Although the cub is still under its mother's paw, it is large, lifelike, and relatively independent. 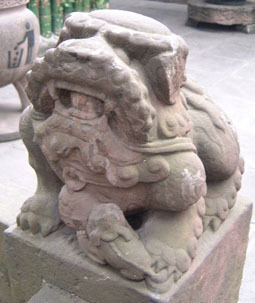 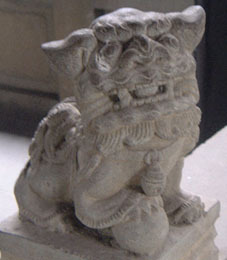 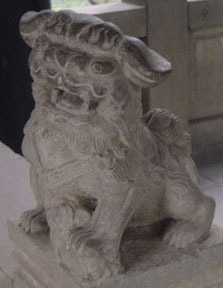 This is the first set of stone lions inside Wuhouci. 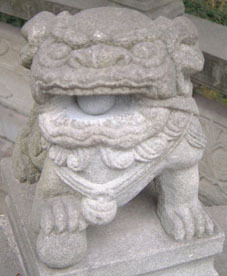 While the figures are chunky in style, the male and female exhibit clear anatomical differences from behind, a rarity in guardian lions. 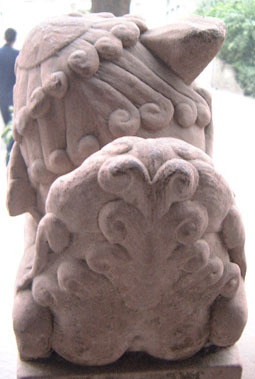 The two pairs below are very similar in style and execution. 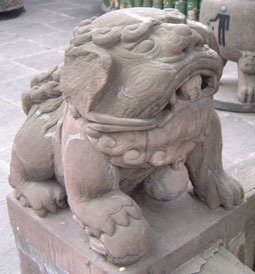 The most salient difference is that one pair has bells at the front while the other does not. 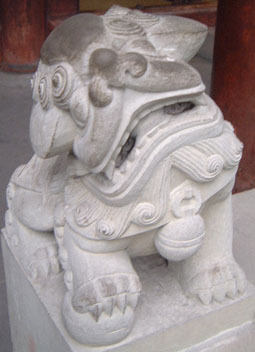 These are guardian lions decorating the solid banisters at the entrance to a building. 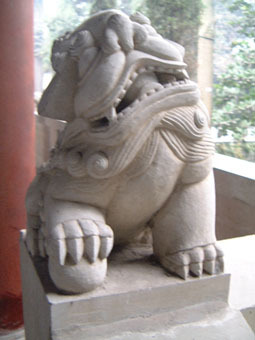 Although their form is flattened, care has been taken to distinguish the pair by giving the female a lion club. 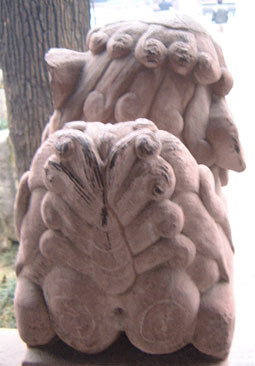 This quirky pair of lions is not made of stone but appears to have been formed out of clay. 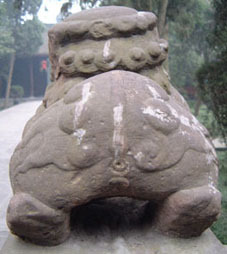 Unlike the pair inside the entrance, no attempt has been made to differentiate them from behind. 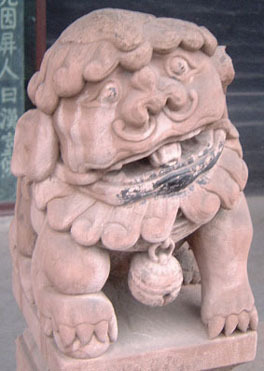 The male has a pearl in his mouth. 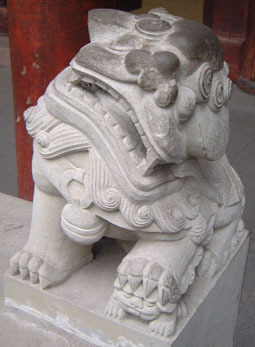 Links to sites about guardian lions on the Internet.